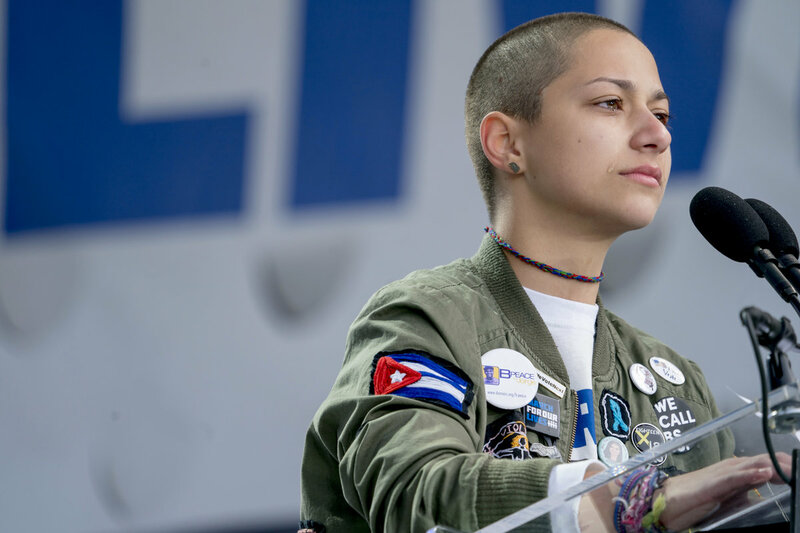 By Allison Graves on Monday, March 26th, 2018 at 5:24 p.m.
Emma Gonzalez, one of the student leaders from Marjory Stoneman Douglas High School, gave an impassioned speech during the March For Our Lives rally in Washington while wearing a green jacket with a number of patches. One of them included a Cuban flag. Rep. Steve King, R-Iowa, criticized Gonzalez for the patch. "This is how you look when you claim Cuban heritage yet don’t speak Spanish and ignore the fact that your ancestors fled the island when the dictatorship turned Cuba into a prison camp, after removing all weapons from its citizens; hence their right to self defense," the post said. Some people agreed with King, but others were quick to call him out for attacking the survivor of the school shooting. "Only a liberal could see this meme as an attack on her ethnicity," King team said in response to the criticism. "It's merely pointing out the irony of someone wearing a communist flag while calling for gun control. But sure, assume something that's not there." We thought it would be useful to put the controversy in perspective. Gonzalez has never said she subscribes to communist beliefs. She mentioned her Cuban heritage in a Harper’s Bazaar essay in February. "I’m 18 years old, Cuban, and bisexual," she says in the first paragraph of the essay published in Harper’s Bazaar. "But none of this matters anymore. What matters is that the majority of American people have become complacent in a senseless injustice that occurs all around them." And according to Univision, Gonzalez’s father arrived in New York from Cuba in 1968. David Hogg, another survivor of the school shooting, called on Sen. Marco Rubio, R-Fla., to respond to King’s post. After he was first elected in 2010, Rubio became a national figure with an inspiring background as the son of working-class Cuban immigrants. "Hey @marcorubio @Emma4Change s family fled Cuba to escape totalitarianism and live in freedom just like your family could you please respond to @SteveKingIA," Hogg tweeted.